What do you get when you place hundreds of students, educators, and professionals from all over the country on one campus? Energypath 2015! The week-long camps and conference, held from July 19-24th, were filled with attendees from all ages and backgrounds, creating a diversely creative environment of skills and ideas. Pre-conference camps focus on Sustainable Energy, including Passive House, Biomass, Micro-Hydro, Solar Power PV, and Wind Power. 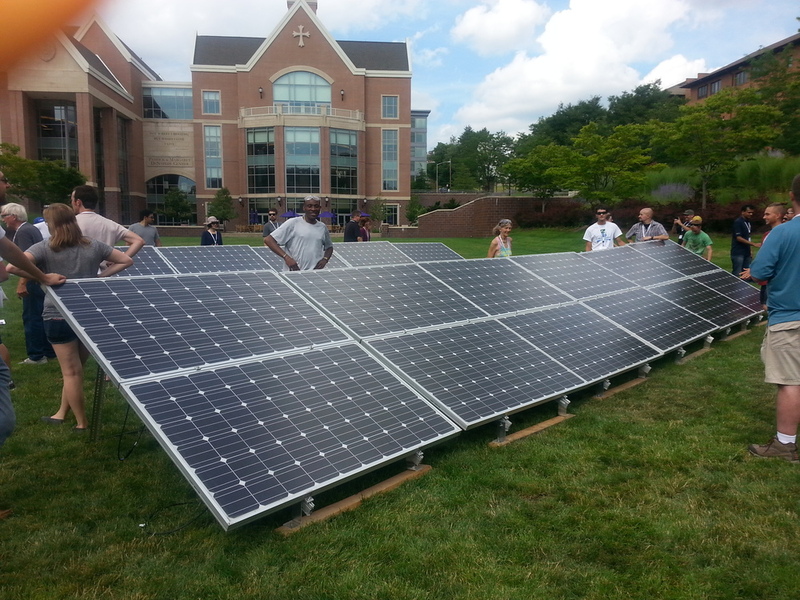 The camps culminate in a two-day conference with dozens of sessions on renewable energy. Industry professionals lectured on numerous topics, including energy policy, energy storage and financing, power sources, and more. Many lectures were supplemented with real case studies, launched by the presenters themselves, providing comparative and critical analysis. 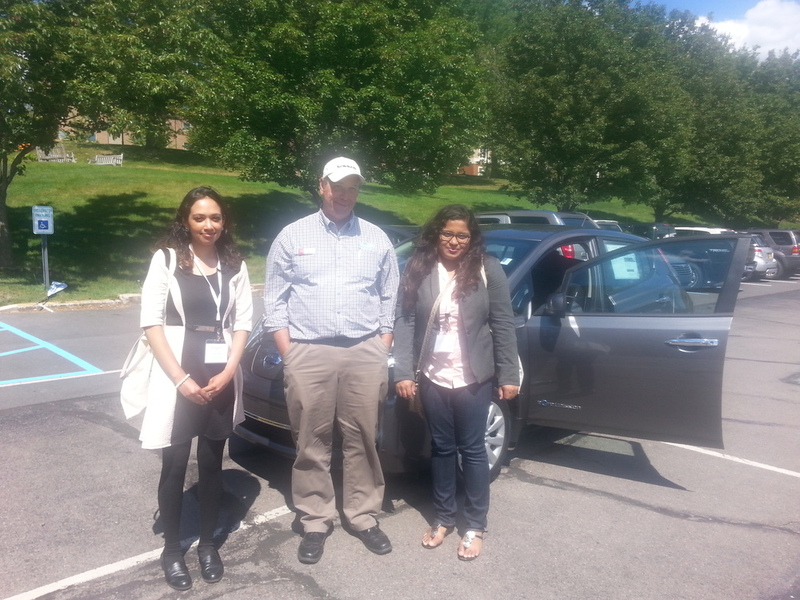 Energypath 2015 at the University of Scranton was overflowing with enthusiasm for energy! I chose to participate in the Solar Camp. 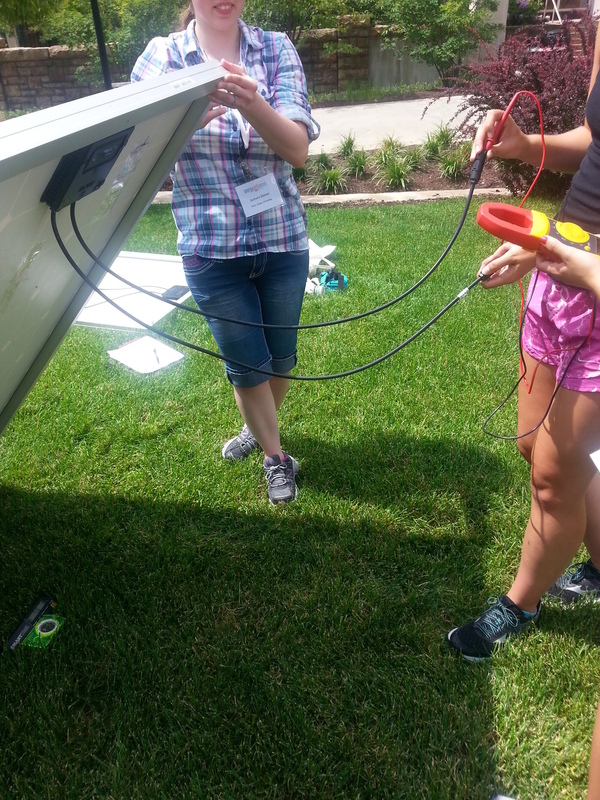 For the first three days of the conference, fellow campers would gather and we received a lecture on solar energy (diving into technical installation as well as political, cultural, and social implications!). Instructors Vera Cole and Bill Hennessy, both sustainability and solar professionals based in Pennsylvania, and whose work in the field is incredibly extensive, shared their passion. At the end of three days, we had the structural racking set up, solar panel assembly complete, and the grounding/wiring finished. 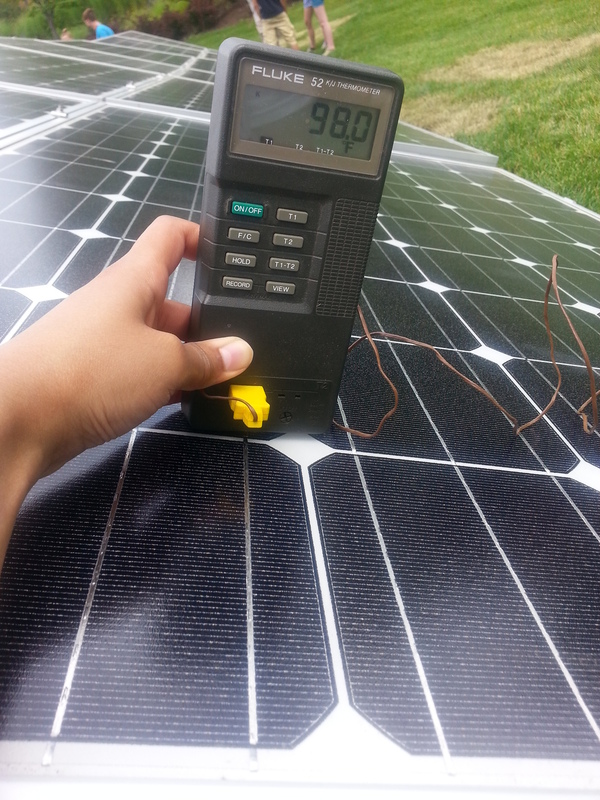 We tested our panels' output! Here's a snap of the completed array: twenty-four modules facing South, on the sprawling University of Scranton campus. We split into twelve teams, measuring voltage output, current, ambient and module surface temperature, array angle, and more, while working on the assembly. Keynote speakers framed the context in which building industry professionals actively engage in. John Hanger, Pennsylvania Secretary of Planning and Policy, kicked off the conference by outlining the goals of Pennsylvania state. "Our goal is to be a top five clean energy state," Hanger said proudly. "Active citizens," he emphasized, could help bring this change, speaking directly to the audience. Hanger also stressed the need for bigger support in policy-making, better data, good science, and good analysis, citing environmental examples. While improvement is needed in these areas, Hanger pointed out that natural resources that are abundant in Pennsylvania- its gas, nuclear, and natural gas production are among the top in the country. "Without the sun, we do not exist." The next Keynote's attention to the natural environment was clear from the start. Bill Maclay, Principal at Maclay Architects, and author of The New Net-Zero, brought many years of design experience to the table, as he listed numerous projects his firm has actively worked on. His support for renewable energy, and the role business plays within sustainability, was evident, claiming that net-zero buildings are now cheaper than "fossil-fuel buildings": "You make money the first day you shift to renewable energy," Bill exclaimed boldly. Click the left and right arrows below to check out some of the seminar and keynote highlights. One of the conference highlights was meeting Keynote Speaker Sam Rashkin, Chief Architect (Building Technologies Office) of the U.S. Department of Energy! Rashkin stressed the basics of design, taking human comfort into play, and explained how we could achieve these tactics. He focused on zero-energy buildings, highlighting Risk Management (including an optimized comfort system, water protection, indoor air quality) and Differentiation (utilizing advanced technology, having health protection, and following building code). Regarding the energy industry, Sam's wise words rang loudly in my ears: "If you chase this field or it chases you, you will likely feel both the fast and slow pace." As a government professional in energy, and having worked in three city agencies in New York now, I can attest to this statement! 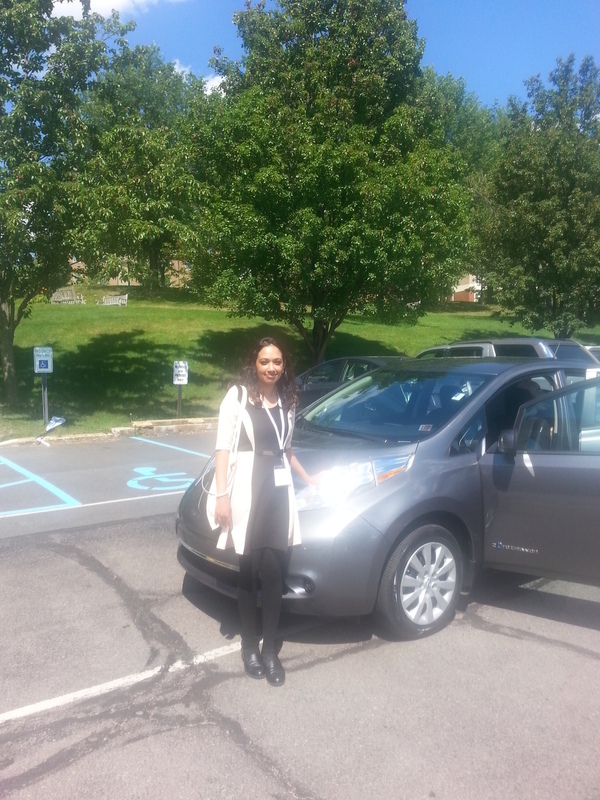 I also test drove the Nissan Leaf... loved the experience! The brake and accelerator were very sensitive, so it took me a few blocks to get used to.. but other than that, it is a very quiet vehicle and the ride was incredibly smooth. Its operation was also simple, as shifting into gears is simple and user-friendly. Verdict? I would love to own an electric vehicle. New York City, we need more charging stations! 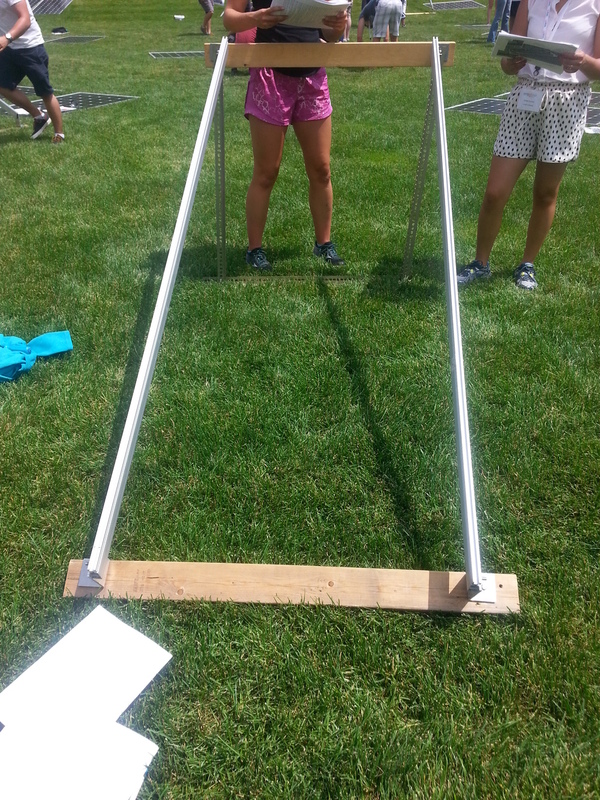 Instructors Vera and Bill demonstrated the power of solar through fun micro-applications: the manual Solar Pathfinder to calculate cast shade on the site and determine PV placement, cooking popcorn with solar, and a solar cooker for bread! Scroll through with the left and right arrows below. More conference snapshots! Scroll through with the left/right arrows below. In addition to the conference, we had the opportunity to take part in two tours: one emphasizing the sustainability of the University of Scranton campus, and the other was a beautiful architectural/historical tour of Scranton! I'll blog on these next!